We shall make a game set with any number of cards you need. 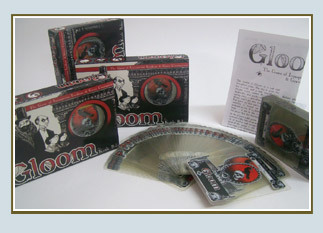 Custom playing cards boxes shall hold your required number of cards packed into a single game box. Cards shall be cello wrapped into stacks of 55 or more cards per stack and multiple stacks can be packed into custom game boxes. Again, addition of inserts, instruction sheets, note pads, writing pads, booklets, game dice etc can be incorporated as required. The double decks box can have hang tabs for display purpose or any alternate packing option. Final packaging can be in display boxes or alternate options as you may need. 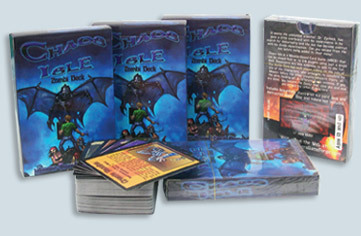 Chaos isle zombi deck is a card game packed into a twin deck tuck box with more than 110 cards per box plus two different instruction sheets' this game has 3 booster packs as well. 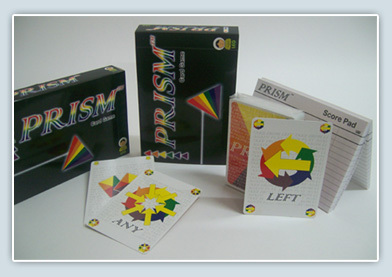 Prism 120 cards in 2 stacks, plus an instruction sheet, plus a score pad. 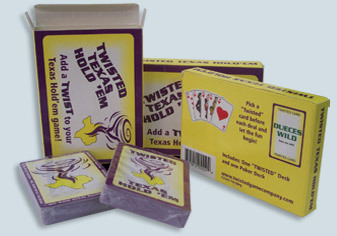 Again a set of 112 cards plus 5 cards holding game instructions. all packed into twin deck tuck boxes. We have different options for the Twin Deck box packing. You can take all the cards placed one on top of the other in a standard tuck box style pack.......or you can take 2 stacks placed one besides the other and a hang tab. Many such concepts can increase the perceived value of the product. All this helps in impulse buying at the retail end. 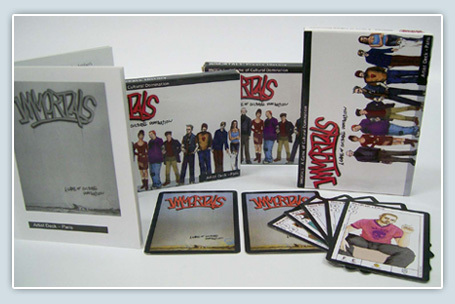 Mothers Help, is a special concept deck of 100 cards with custom requirements. 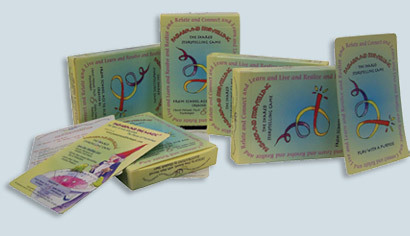 Cards of this deck can be easily written upon and are created for special needs with double thickness. While one side of the cards is high gloss, the other side is dull finish. This is a low spine deck and created for a client in England. The Zombie Deck is a CCG with many booster packs as well. The starter decks have been packed into twin deck tuck boxes. Don't want a standard tuck box for your card games! Talk to us and we will create a box on your concept. Twin deck box; box will special inserts; box with special cavities to hold, cards, dice, score pads, sand timers, coins in place. Hang tab twin deck boxes, triple deck display boxes or boxes with special cavities. 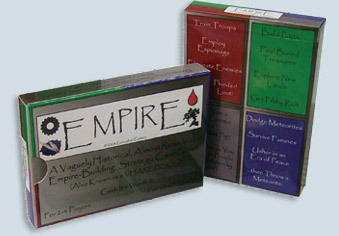 Empire is a special card game with 120 cards plus instruction sheets. This again is a twin deck tuck box holding 2 stacks of cards each. 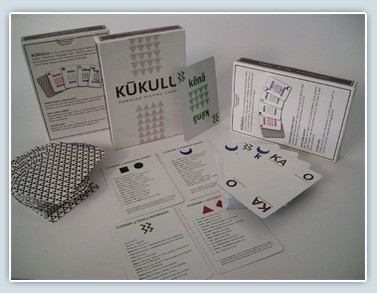 Kukulu is a Hawaiian playing card deck made for an institute in Hawaii. This deck helps to learn Hawaiian language the easy way. Special pantone colors have been used for printing the cards. Are you looking for a jumbo size card deck? 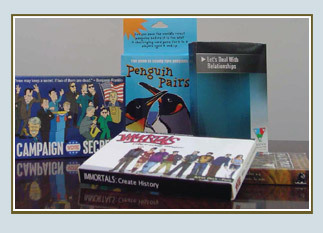 Pass Around Story Telling card deck is an example of large card size deck made for a client in New York city. Immortals is a low spine twin deck format box made for a client in switz. 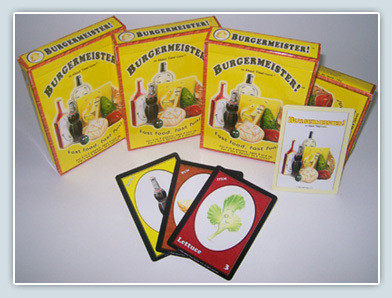 An assortment of contents is involved to make this game set for the client in Chicago. 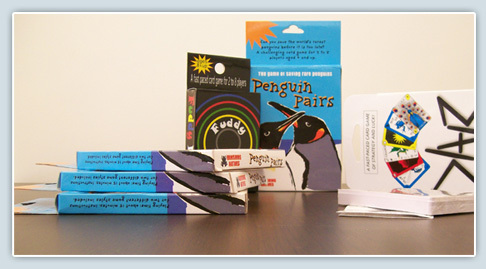 Sand timers, coins, score pads, play mats, instruction booklets, posters, starters, boosters............. A series of cards placed on paper inserts have gone in to make this game box. Further packing of play mats into envelops with holograms and other security features complete this set. 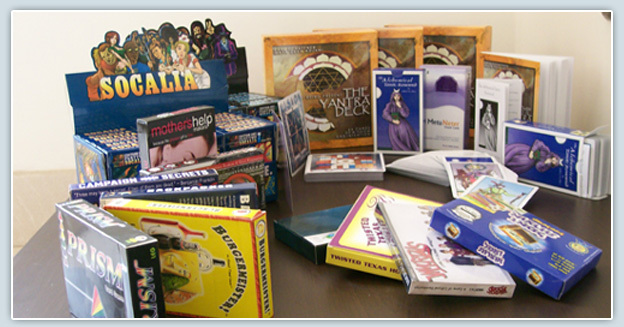 Different display boxes have been created for different game sets.